This Feldherr Transporter-Set does not contain foam. 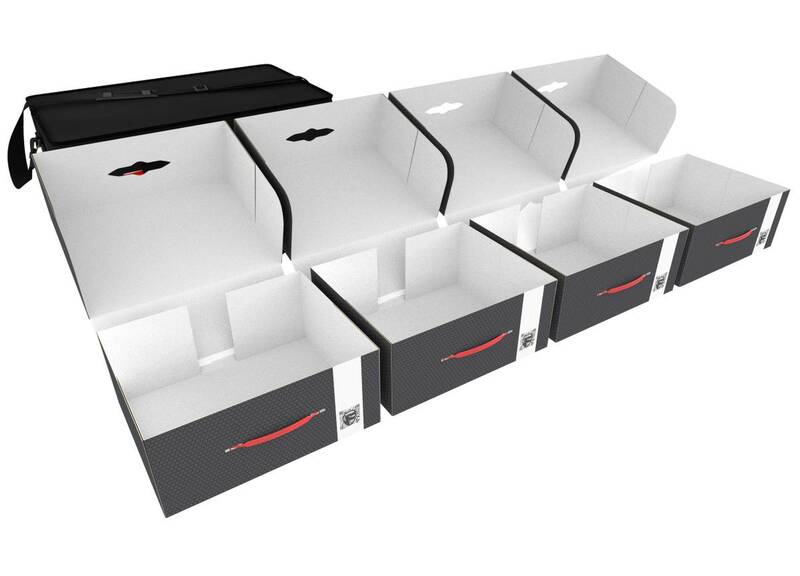 The Storage Box M offers space for all Feldherr Half-Size and Full-Size foam trays up to a maximum height of 150 mm. It is made of coated, double-walled cardboard. This makes it not only pleasantly light, but also particularly tear-resistant and stable. With the matching foam trays, miniatures and game material can be stored safely and dust-protected and can also be transported effortlessly with the plastic carrying handle. 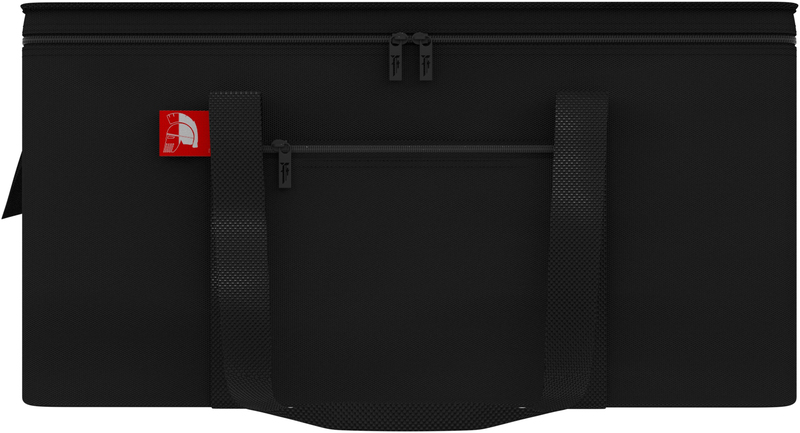 The high-quality Transporter bag is made of lightweight but durable fabric. 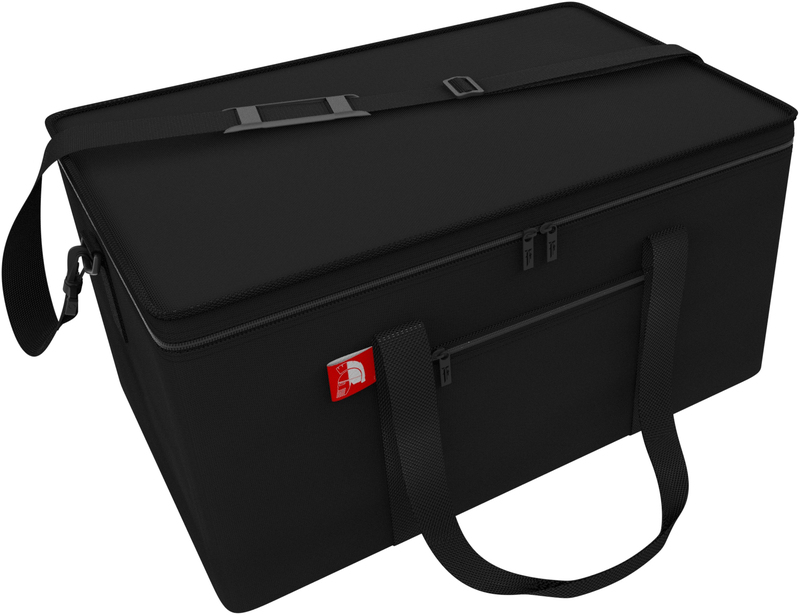 In addition to the large main compartment, the bag has a small side pocket where you can store writing materials, books or similar. 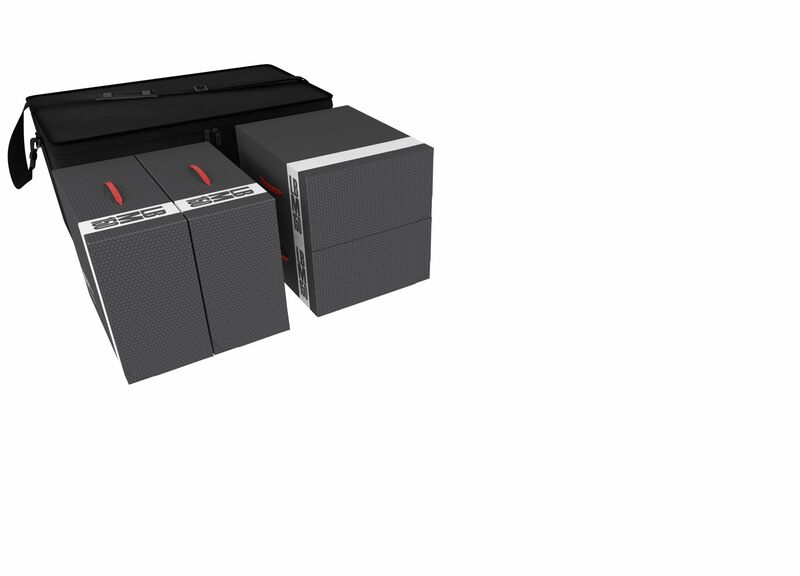 The transporter does also fold flat to save space when not in use and can easily be stowed in any cabinet together with the Storage Boxes.